Sir Francis Galton (1822-1911), a first cousin of Charles Darwin, was an English social scientist, an outspoken hereditarian and selectionist who conducted extensive statistical studies of heredity in humans, and coined the term eugenics. He was also a key influence on the criminological development of biometric techniques, including fingerprinting. 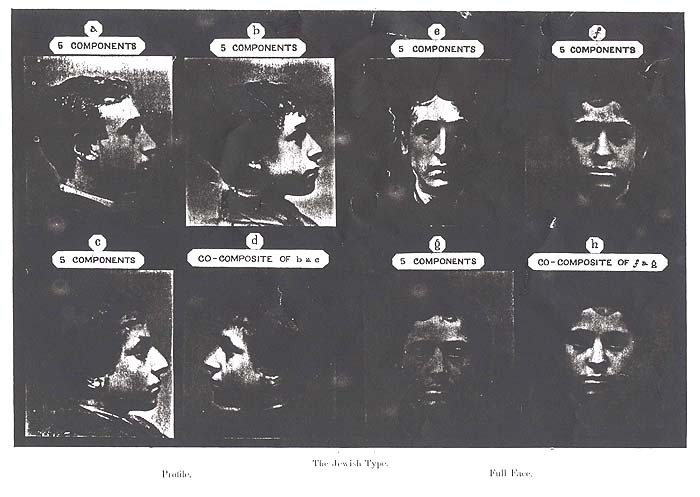 His technique of creating photographic composite portraits aimed to provide a tool for the identification of medical and criminological types. Examples of Francis Galton’s composite portraiture designed to reveal the physiognomic manifestations of race.